Jan Kounen’s Darshan – The Embrace extols the healing power of touch, revealing—cinematically and without condescension—Sri Mata Amritanandamayi Devi’s popular appeal. According to the film, this “hugging saint” has wrapped her hands around approximately 23 million people in her lifetime, a means of spreading joy around the world. Kounen skims over the woman’s humanitarian work and youth, not to mention the criticisms leveled against her, choosing instead to convey the spiritual leader’s influence via Zen-like camera movement. 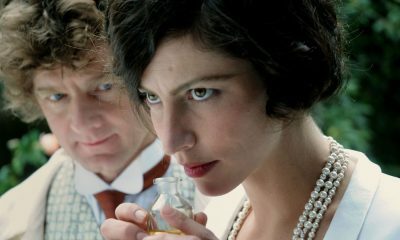 Kounen one-ups Workingman’s Death, mirroring the mahatma’s magnetism in her elegant artistry (thus validating it), and Born into Brothels, by inserting herself into the film without compromise. 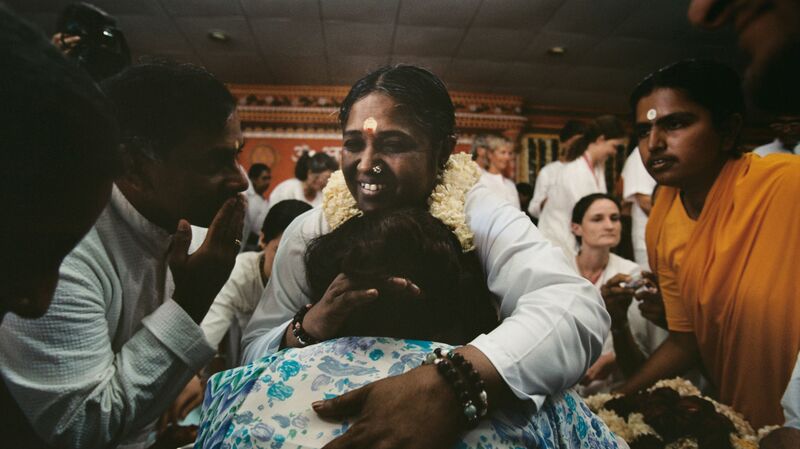 Kounen always knows when to stay close on Amritanandamayi and when to observe her from a distance, and there’s depth and sweetness to her cutting, like the graphic match between the meditating Amritananadamayi and old-movie footage of the woman, as a child, playing on swings with a group of friends. Always the camera is looking to understand the woman as she travels from city to city, bringing hugs with her and leaving goodness in her wake. The double pleasure of the film’s aesthetic is how it reflects both Amritananadamayi’s pull and the sense of spiritual growth she rouses.